Life Pro Tip: never underestimate the power of cheese. I made this for a group of friends last year and thought, “Oh they won’t like it, it’s just a bit of cheese”…well, I was dead wrong. The brie got munched in about a total of 5 moments despite any technical difficulties getting the oozy cheese actually in your mouth rather than on your shirt. This recipe comes with a total of three ingredients, is ready in about 15 whole minutes and is guaranteed to bring folks flocking. 1. Lay out all your ingredients and marvel at how wonderfully easy impressing all your friends is about to be. 2. Preheat the oven to 375 degrees. 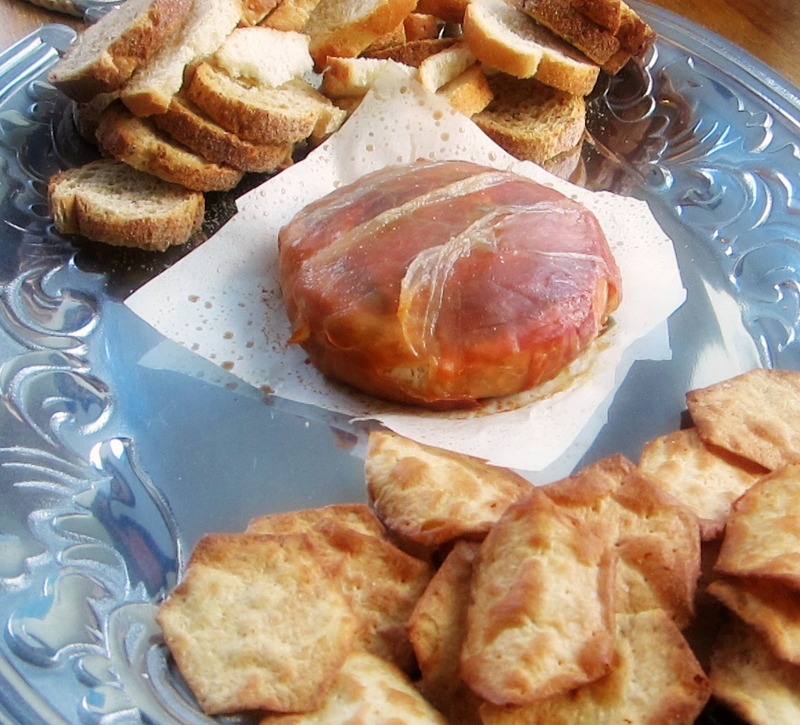 Cut a square of parchment paper for your brie to sit on, set aside. 3. 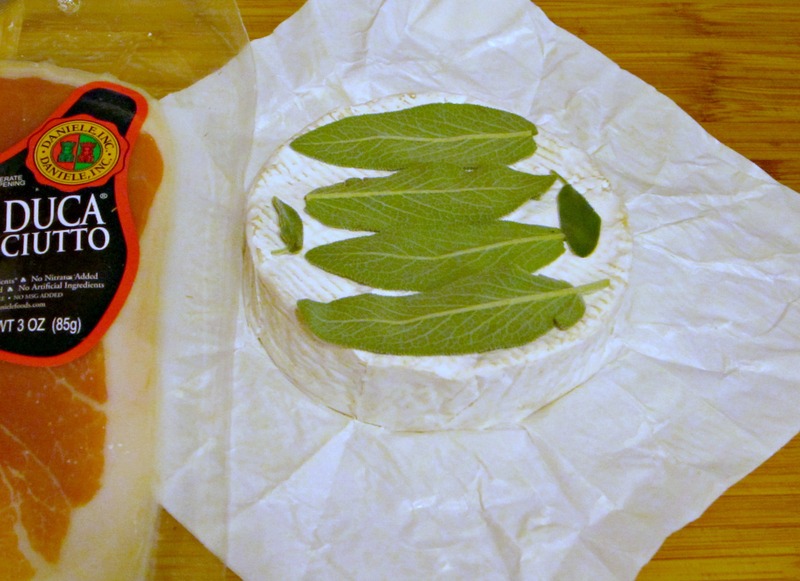 Place sage leaves on top of brie. 4. 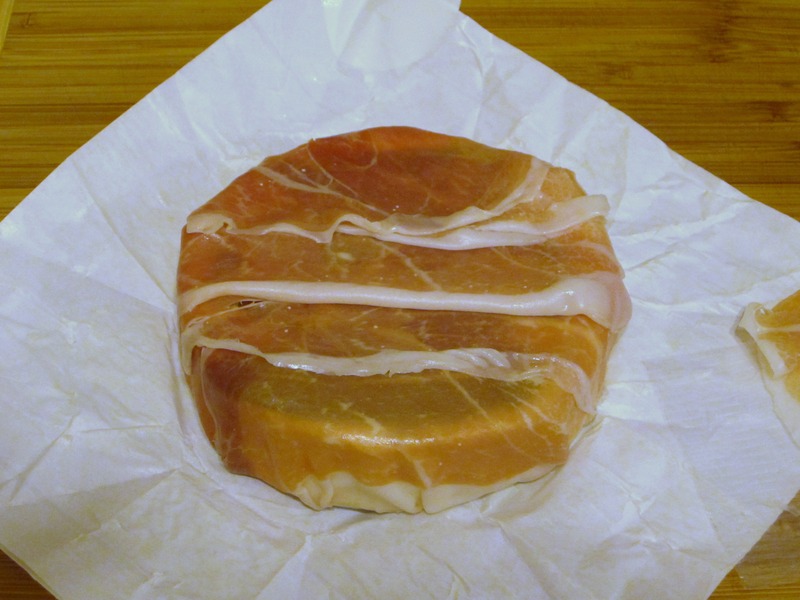 Wrap slices of prosciutto around brie and sage, making sure to cover the entirety of the cheese without dislodging sage leaves. 6. Serve with fruit, crackers or bread, enjoy!